If you want your kids to behave themselves in the time leading up to Christmas, why would you put some little sissy on your mantle that's gonna supposedly go off and rat em out for the bad stuff they do? Kids know that snitches get stitches and they're not gonna take some dainty little elf seriously. What you need is some crazy looking demon guy that will stuff them into a bag and beat the tar out of them with a stick. Now that's something that will make even the littlest psychopath think twice before giving into those bad voices in his head. 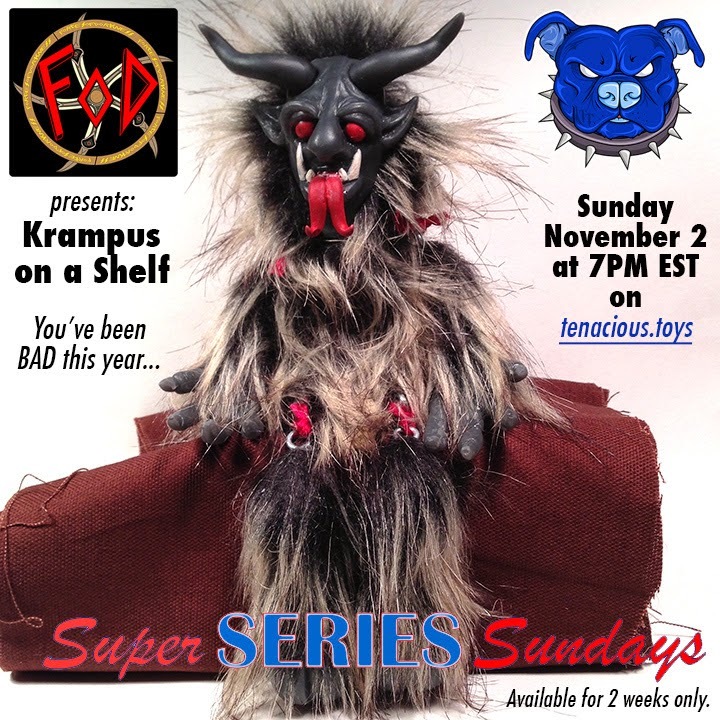 Krampus is the greatest thing to happen to Christmas since presents, and it warms my heart to see people in America start to embrace Santa's enforcer. Now if only we could start working him into our holiday traditions. Kids need a healthy dose of fear. They need a freaky goat man to smack them around as they stare mindlessly into their cell phones instead of taking out the trash. HAHAHAHAHAHAHAHAHA I'm dying, I'm dying. Halloween Pickle Baby from Leecifer Drops Today! Woot Bear Grand Opening this Saturday!! !